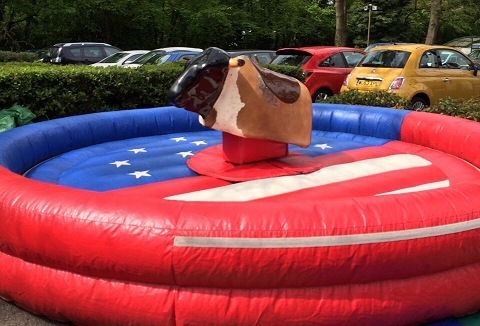 The bucking bronco makes an ideal entertainment for parties, receptions, promotions, fun days and any event with a theme and need for Wild West Games. 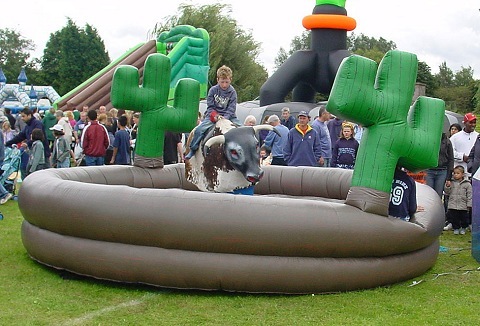 Our childrens rodeo bull ride is designed specifically for the younger riders. Supplied with operator. 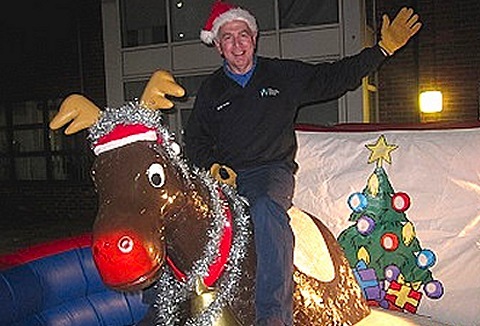 We are a family run business who operate a range of mulit rides ideal for themed events including rodeo bull, horse or sheep from the wild west, Harry Potter and his broomstick, surf simulator for the summer, to rodeo reindeer for Christmas themed events. Nothing is unforgettable as letting rip a crazy Bucking Bronco Bull at your indoor or outdoor event. Both our rodeo bull and multi rides can be themed around your event. The rides are situated in an inflatable arena and operated by our professional staff. We supply and operate a range of mulit-ride simulators for outdoor & indoor events as well as private hire. 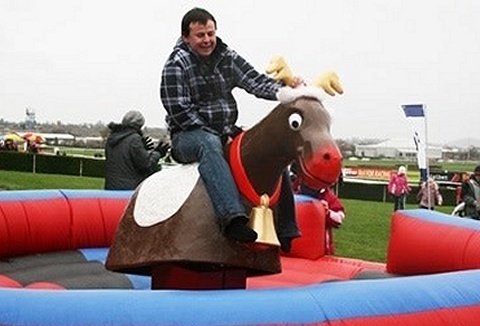 Try your hand at being a cowboy, see if you can stay on the bucking rodeo or try your hands as a camel racer. Surfboard and roller blade available. If fun and laughter is what you are looking for then try riding this hilarious, extremely untamed beast and see how long you last before he throws you off! 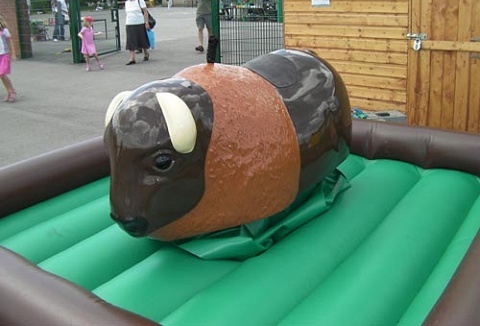 Surrounded by an inflatable bed and operated by a member of staff our rodeo bull is great fun!